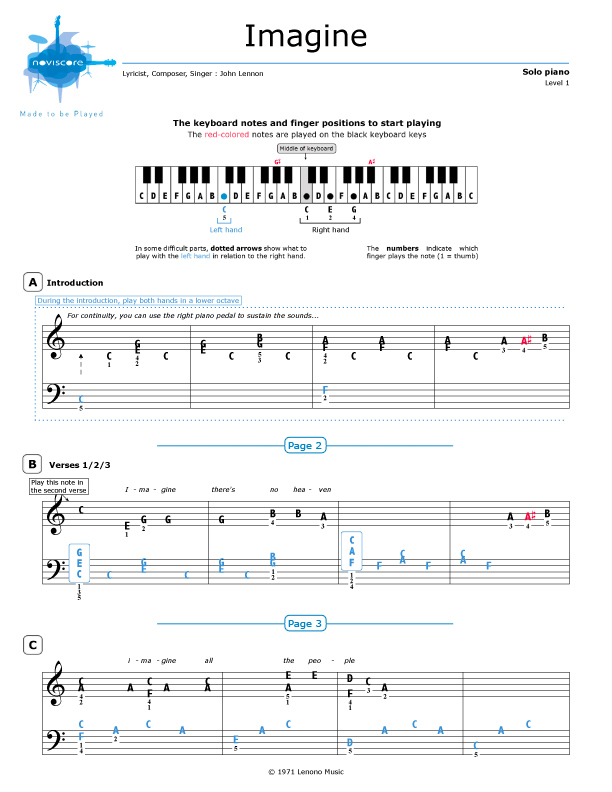 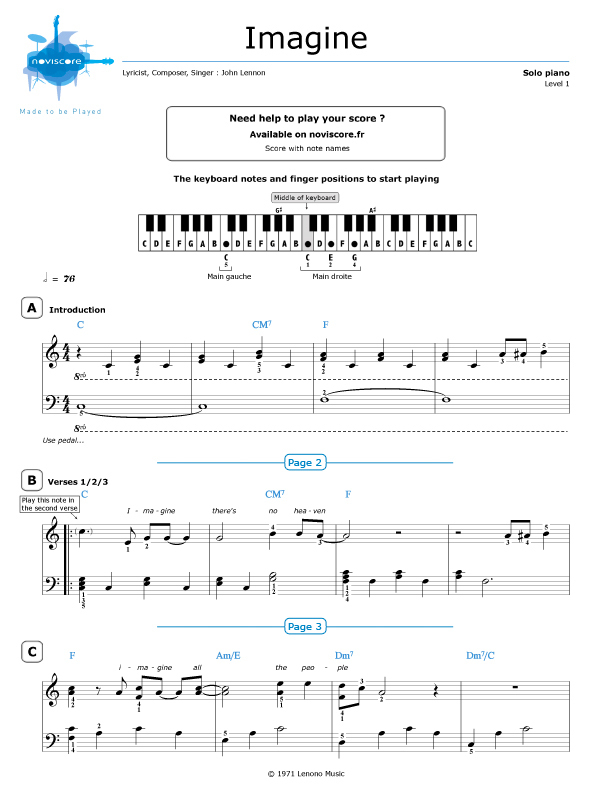 Our Imagine piano sheet music is a must-have! 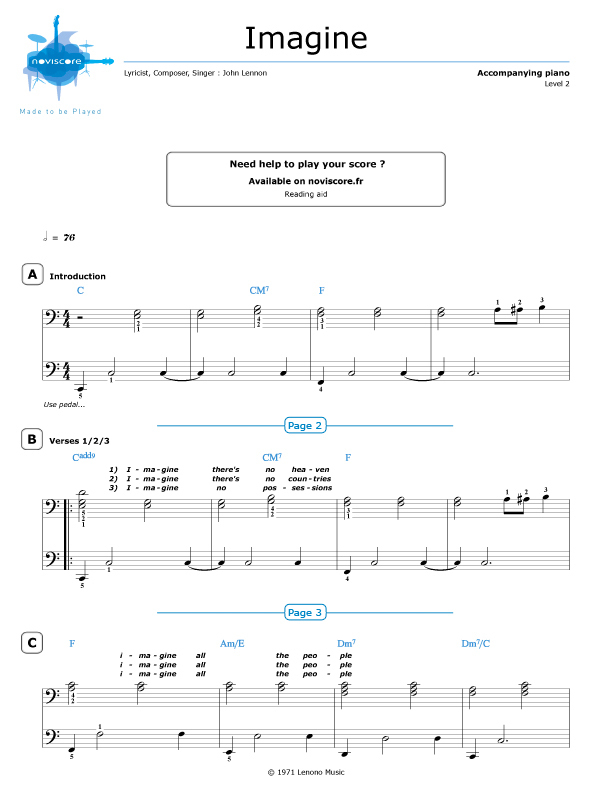 This beautiful song, recorded by John Lennon in 1971, imagines a world at peace without borders, religions or nationalities. 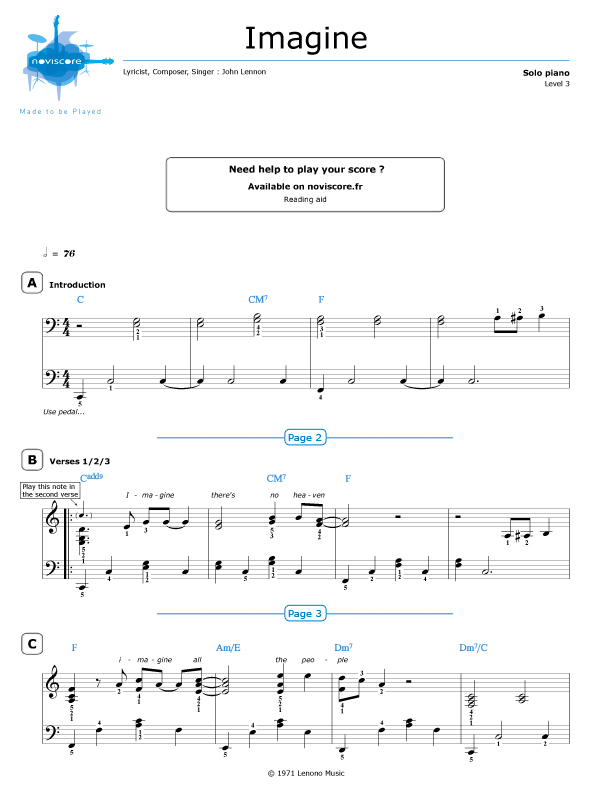 It is one of the most performed songs of the 20th century and has been covered by a number of artists worldwide. 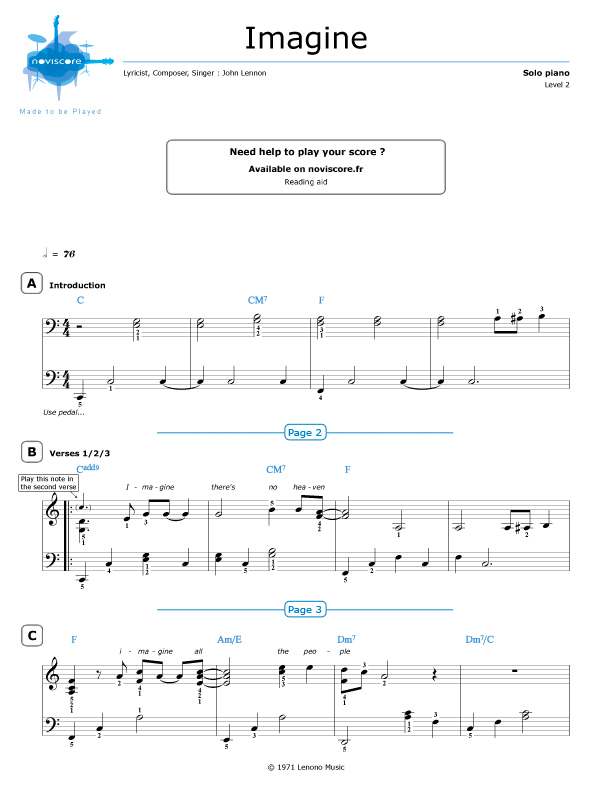 As a pianist, you will appreciate the simple yet magnificently written introduction in C major. Choose the level that is right for you from our three different adaptations for piano solo, ranging from beginner to expert. 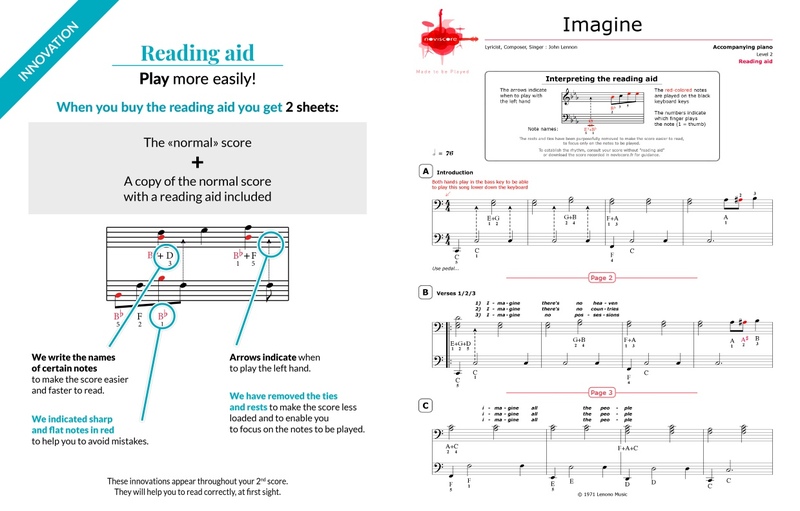 Reading aids are available should you need them and if you have trouble reading notes, then don't forget our Imagine easy piano sheet music Level 1 with note names instead of symbols. 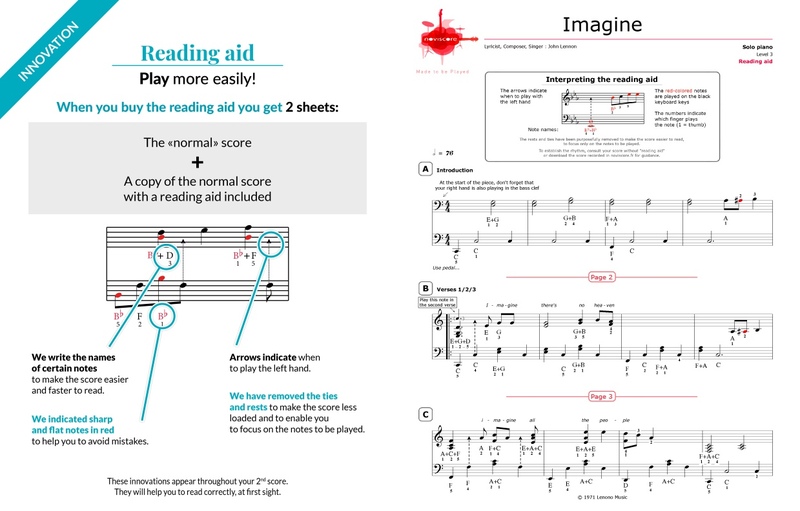 If you prefer to sing along or accompany another instrument, then select our Level 2 version for piano accompaniment. 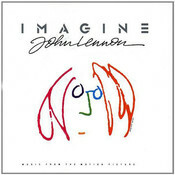 Imagine was the first single on John Lennon's second studio album Imagine which was recorded and released in 1971, a year after the break-up of The Beatles.